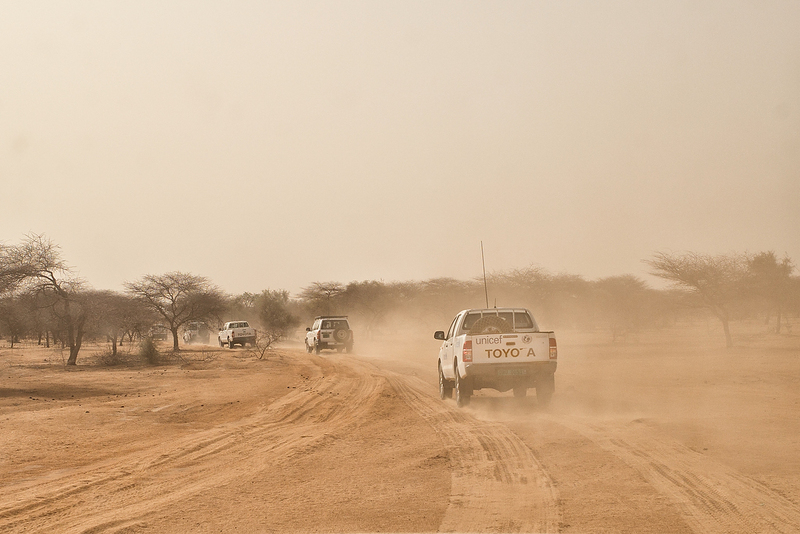 UN humanitarian aid workers travel in military escorted convoys every day to reach M\'Bera refugee camp. Close proximity to the border with Malian restless region has prompted government of Mauritania to ensure safety of humanitarian workers working in Bassiknou area, by providing military escorts in Bassiknou Mauritania. Mauritania is the largest recipient of refugees fleeing the crisis in Mali. There are around 53,474 Malian refugees in M\'bera camp, 58 per cent of them children under 18.